The history of our visits to the Moon are listed as a reminder that we have not returned to the Moon since the last Apollo 17 astronauts departed the surface, nearly 40 years ago. In the decade beginning in the mid-1960s there were probes, landers, rovers, lunar satellites and even 12 American astronauts that briefly visited the surface. Since then only Clementine, the Lunar Prospector, the SMART-1 electric thruster-powered probe, Chandrayaan-1 and Kaguya with its two auxiliary satellites have orbited or visited the Moon. After the few brief visits to the Moon, subsequent Apollo mission and any sustained exploratory visit to the Moon were scrapped. The very efficient and capable heavy launch system, Saturn V, was discarded as having no future. Today a heavy-lift system to LEO is still missing, although in the process of being planned (Ares V). 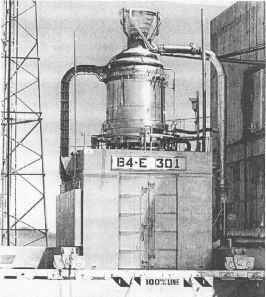 The closest to regaining that capability was the Russian "Energia" launcher that was scrapped after just two successful launches. So the Moon still conceals many mysteries about its past history that remain to be discovered. There are unexplained anomalies in surface composition, there is the massive, violent bombardment of the Moon that occurred about four billion years ago, there is the question of water ice in the shadowed south polar region, and whether 3He (or "helium-3", a very interesting fusion "fuel", see Chapter 8), hydrogen and oxygen can be recovered from the surface in a sustained operation. Briefly, past exploration has been by the former Soviet Union and the United States. Now the European Space Agency (ESA), Japan, India, and China and the United States plan to send more unmanned spacecraft to the Moon in an attempt to resolve some of its unanswered questions and in preparation for future crew landing. Figure 6.8 shows where the different systems have reached the Moon's surface and some of the lunar orbital systems.